We are a leading Wholesale Trader of three phase automatic water pump controller, submersible dry run control, ro plant automatic water pump controller, single phase submersible automatic water pump controller, single phase automatic water pump controller and ro plant controllers from Coimbatore, India. With our in-depth knowledge and experience, we are engaged in offering a wide array of Three Phase Automatic Water Pump Controller. 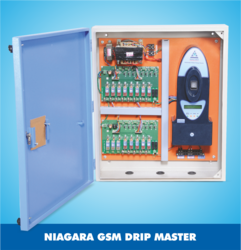 Having most convenient & weather protected terminal arrangement for connection & wiring, it controls the level of water in overhead tanks. 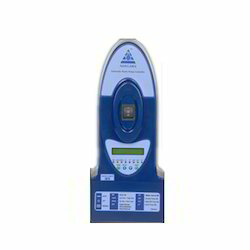 Advanced technologies are employed by the experts in manufacturing these controllers in adherence with the international standards. 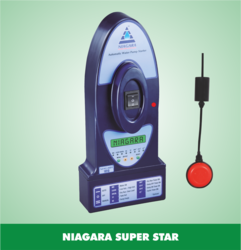 In our extensive product range, we are highly engaged in offering a quality approved the range of Three Phase Automatic Water Pump Controller. This device is design with the help to latest technology thus, it is fully automatic and regulates our motor set. It has been programmed in such a way that if the tank is empty it automatically starts and once fill stops the process therefore, saving energy and water bills. 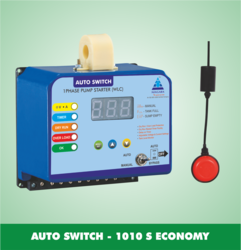 Our organization is an applauded name in offering Submersible Auto Switch to our clients. 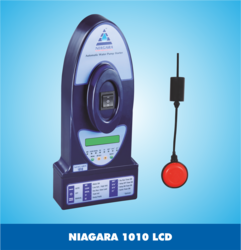 This auto switch has got excellent construction and is based on automatic mechanism. 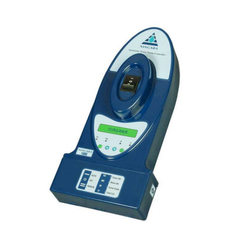 It is desirable for its best functionality and excellent range. 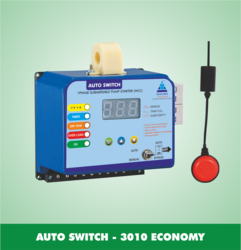 This auto switch is fully tested on well defined parameters by our experts. We are offering this switch in both customized and non customized options. We have kept aspirations of our clients fully in mind while developing this range. We are sure that it would be able to meet expectations of our beloved clients. 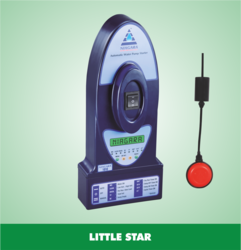 Ro Plant Automatic Water Pump Controller range is manufactured in compliance with the industry laid norms and regulations, by using advanced machinery. Starts the water pump whenever water in the over-head tank is below the tank empty level and water in the sump is above sump minimum level. This device is designed with the help of latest technology thus, it is fully automatic and regulates our motor set. Being a quality conscious company, we assure that the premium quality of the offered device is maintained at all times. 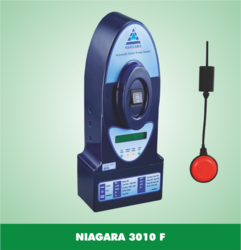 We are engaged in offering a qualitative range of Single Phase Submersible Automatic Water Pump Controller. It can protect the pump from dry run by switching it off when the reservoir becomes empty. 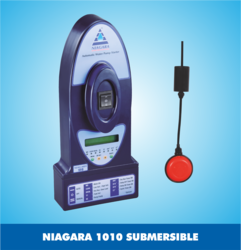 These devices are suitable for the Submersible pumps and Openwell pumps. These are extensively used to control the water flow. These are available at budget friendly rates. We are engaged in offering high-grade Single Phase Automatic Water Pump Controller. The Automatic Pump Controller is based on Magnetic Level Sensing, with sensors enclosed in SS tube and operated by a moving float that travels along the Sensor tube, based on the level in the tank. These can also be configured to provide alarm independently or in addition to providing the alarm in case of control failure. 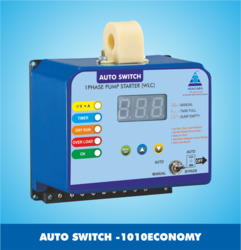 Looking for Automatic Water Pump Controller ?